Bighorn Sheep Garden Sculpture...one of the most majestic creatures of the North American deserts, & one of the rarest, is the Desert Bighorn Sheep. A full-time artist living in Arizona, Henry Dupere is a skilled & passionate metal sculptor. 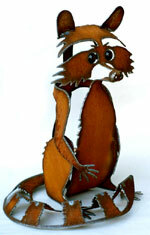 His imagination, sense of humor, & love of nature are expressed in his unique metal garden sculptures! All of the garden art sculptures in the Dupere collection can be used to add a touch of distinction to any garden or home decor. 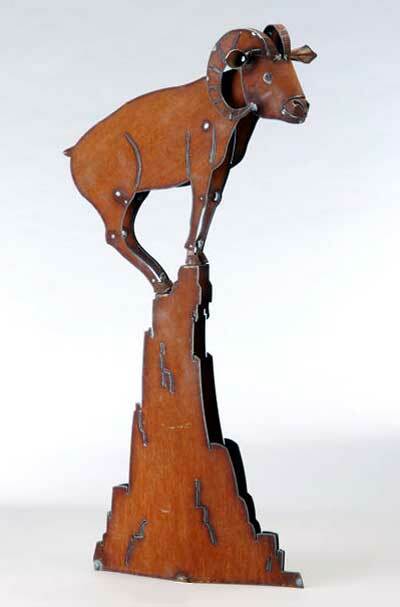 Henry Dupere Bighorn Sheep Garden Sculpture. Size: 36" tall x 18" long x 13" wide. Three-dimensional rusted metal garden sculpture. Hand-crafted & made in the U.S.A.!